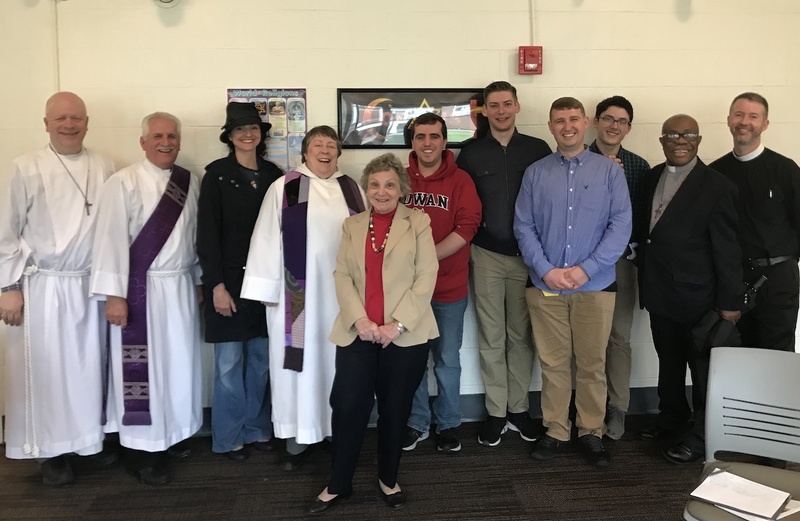 This weekend members of St. Thomas’ and Good Shepherd met on the campus of Rowan University to celebrate the Holy Eucharist. Our gracious host was the Interfaith & Spiritual Exploration Center, a first-of-its-kind department among New Jersey universities and a function of the Office of Social Justice, Inclusion, and Conflict Resolution. As we have watched Rowan University blossom alongside our own church campus, we have been praying about how we might serve that community and reflect God’s own love. College is a critically important time for development of all aspects of a human being — including the spiritual. It is our mission to be a supportive community for everyone seeking God/truth/goodness, and our privilege to carry out that mission on the campus of Rowan University.